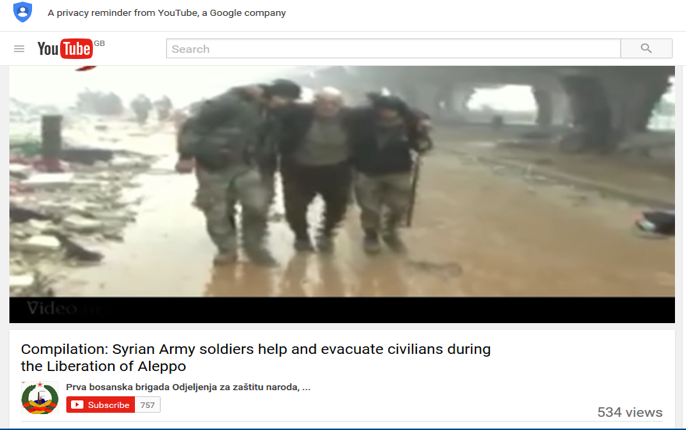 In retrospect, the Syrian regime’s military victory in Aleppo city was not wholly unsurprising given the considerable resources that it invested in the battle and the fact that the rebels had previously transferred significant resources away from the city in order to take part in Operation Euphrates Shield in the north of the province. However, the focus on the regime’s military victory has tended to overshadow a more unexpected outcome from the battle – the fact that the regime and pro-regime activists also won the information battle on social media. 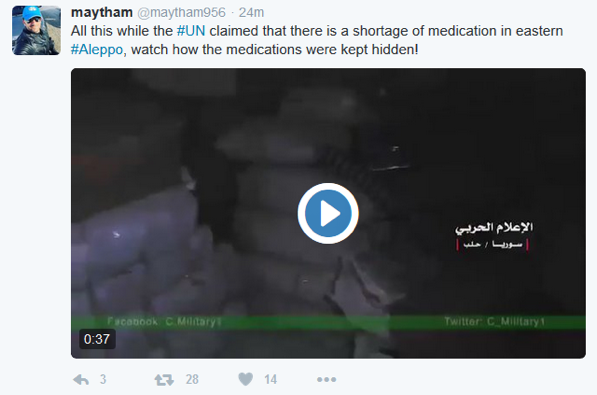 The problem for the regime was that the western media ignored that aspect of its victory. This led Elliot Higgins of Belllingcat to issue a call on Twitter for people not to use or re-tweet images unless they checked them first. 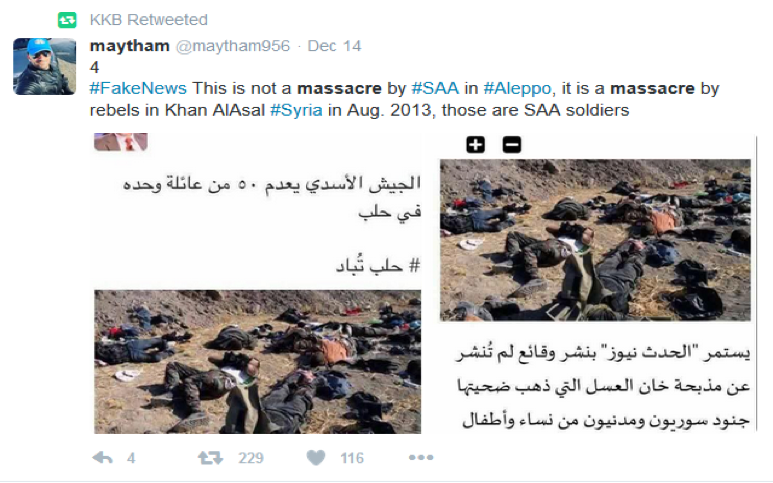 The use of images from other times and locations is a fairly common practice among some activists reporting on the Syrian war, but at a time when events in the city of Aleppo was under the microscope of international attention it proved to be hugely damaging. 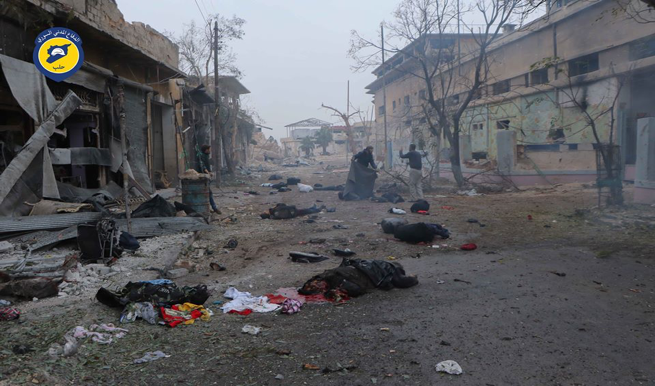 To date, no hard evidence of regime atrocities against the civilian population in the city have become available. Similarly, whilst it is undoubtedly true that civilians were killed by airstrikes and artillery bombardment, there is no hard evidence to support the apocalyptic claims of the White Helmets that bodies were littering the streets. And neither were there any images of starving civilians. 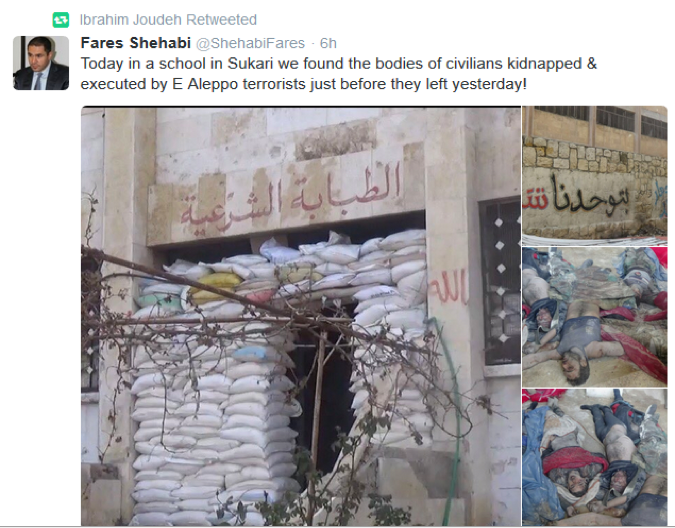 Empowered by the regime’s military victory, pro-regime activists developed a confident and robust counter-narrative. 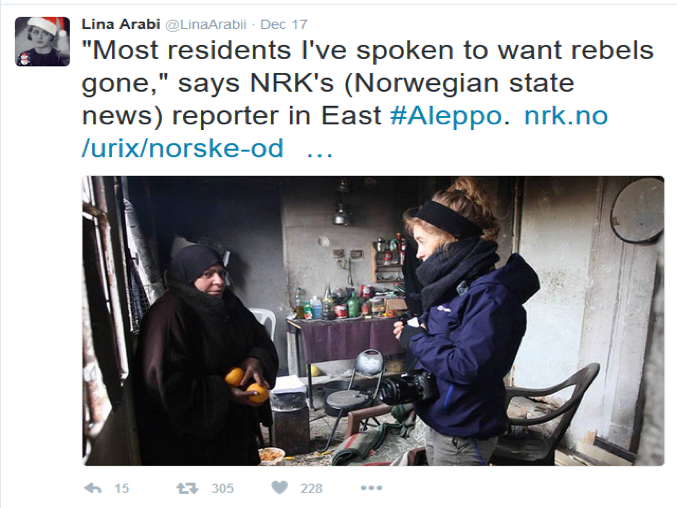 Even as the pro-rebel narrative was being pumped out and reported by the western media, pro-regime activists repeatedly began to ask searching questions: where were the hundreds of thousands of civilians who were alleged to be trapped in the east of the city? and where were the images of the alleged massacres, starving civilians and bodies littering the streets? 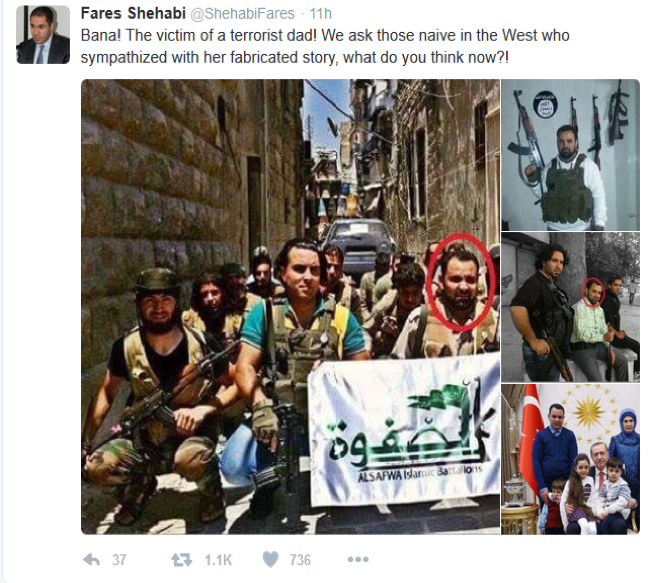 It is impossible to verify all of these claims, but the volume and strength of this narrative, coupled with an extremely weak response from pro-rebel activists to these claims, meant that this has been one of the few occasions when pro-regime activists have dominated the information battle on social media. 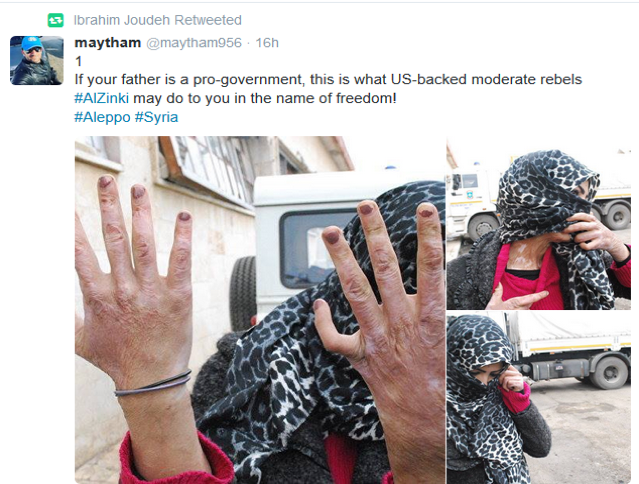 Aside from a spirited defence of the Bana Alabed twitter feed, pro-rebel activists focused instead on the evacuation of the city and the plight of refugees, including men of fighting age who had been taken away for interrogation by regime forces. This shows that the decline in the credibility of pro-rebel narratives on social media has not been matched by an increase in the credibility of pro-regime narratives. 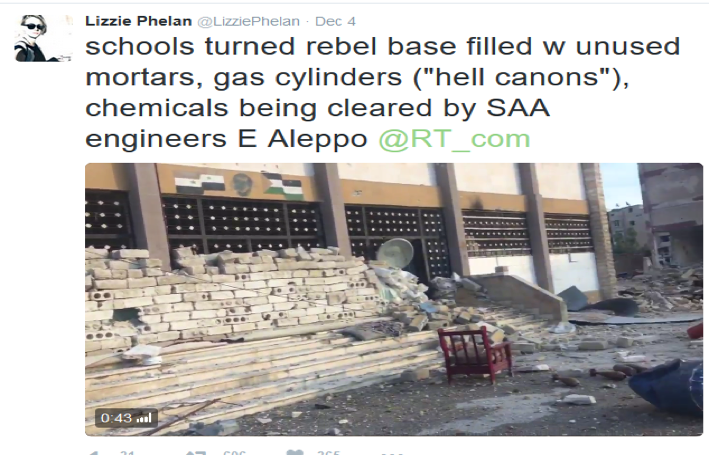 This might well be because western journalists still do not trust pro-regime sources, but it is also arguably the case that many western journalists have become so invested in an anti-regime narrative that they cannot report any form of counter-narrative, no matter how much truth it might contain. This attitude is summed up by filmmaker Saleyha Ahsan who appears to work for the BBC (Twitter @Saleyhaahsan) who blocked a number of Twitter users in December 2016 simply because they took a pro-regime view. 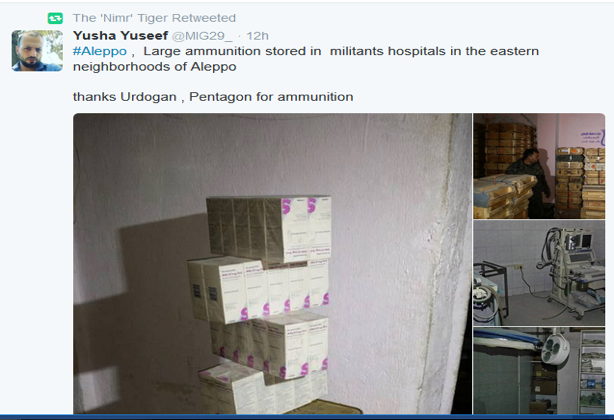 Whilst signs of more western journalists beginning to recognise that pro-rebel narratives often contain high levels of propaganda have emerged, it will clearly take more than the regime’s successes in Aleppo to change the course of the information war in Syria.